Hello fellow peaches, this post is MADE for you. No, really it is! Have you heard of Georgia Crafted? Until recently, I had not and I'm thrilled to share it with you here. 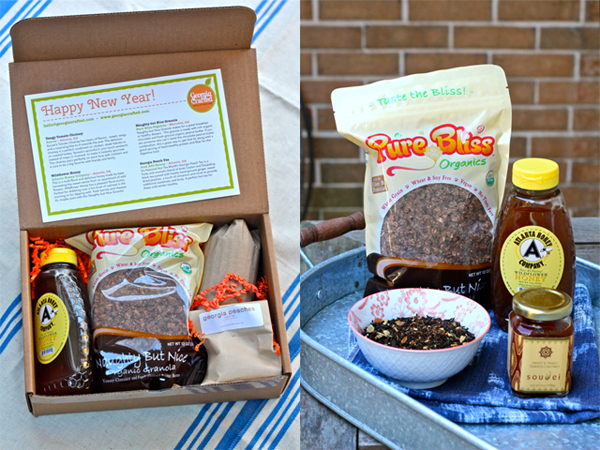 They're a monthly subscription service which consists of 4-5 carefully curated full-sized products made by Georgia artisans and delivered directly to your front door. Items can range from food, candles, music, teas, art, stationary, bath and body products and more. I love the idea of this because as much as I would LOVE to hit the farmers markets every weekend to support local artisans and discover new products, my schedule just doesn't allow it. And knowing that Georgia Crafted only selects the best of the best assures me that my box is going to brimming with peach-state goodness. Each box also includes detailed description on the products and it's maker which is always fun to read about. You can also choose from different subscriptions which makes it perfect for gifting. How fun would this be to gift to a new neighbor or that person who already has everything? 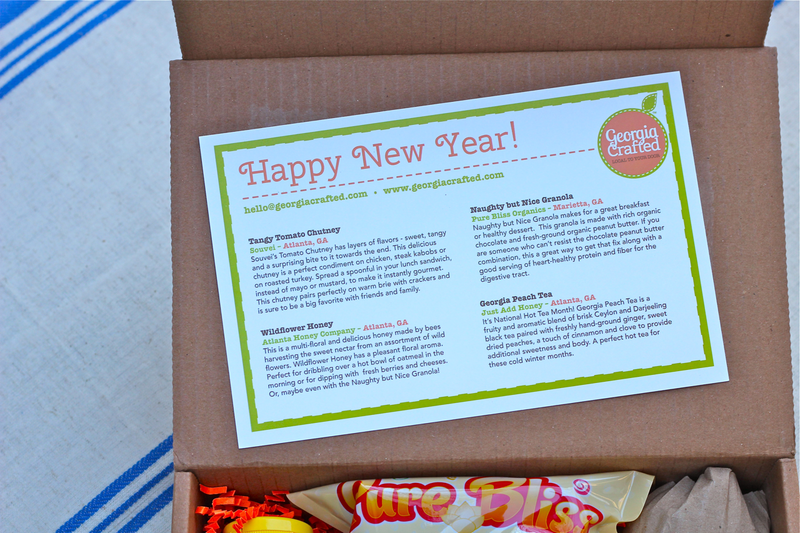 My January box just happened to be all food products which y'all know I love but I'm looking forward to what else Georgia Crafted sends my way. To stay up-to-date on all things Georgia Crafted and support your local economy, be sure to "Like" their Facebook page here. You never know what you'll discover on your own front porch! *Disclaimer - Georgia Crafted gifted me with a box for review but all opinions are my own. **Thank you to Mr. Southern Peach for modeling for this post. Unfortunately, he's not included y'all! Oh wow, everything in that box looks amazing! Isn't it a great concept? 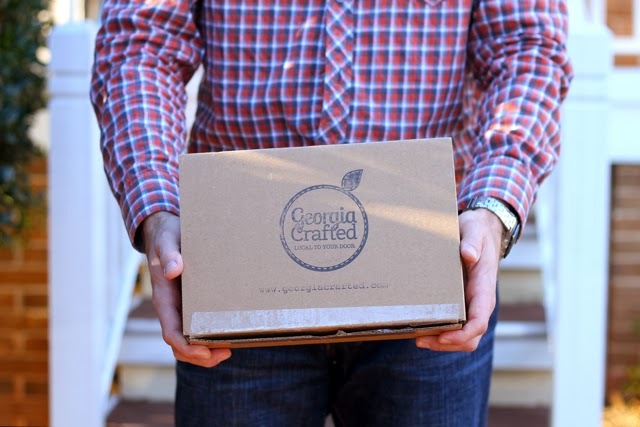 I've been curious about the Georgia Crafted box. Sounds like it's worth a try! So cool.....Love the idea! Was just in Savannah today! This is such a cool idea...I'm curious if there's a similar Virginia version! I've heard of this! Definitely going to give it a try!